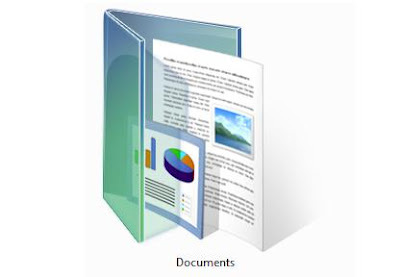 Windows sets the location of the Documents, Music, Pictures, and other similar folders inside of the users directory by default. While this is fine in most cases, some times it is better to move the folder. An example would be if you installed a second hard drive in your computer and wish to put more files in those folders then your original drive could hold. If you simply moved the folder to the new location, Windows wouldn't know and would still try to access the old location when you click the Documents icon. 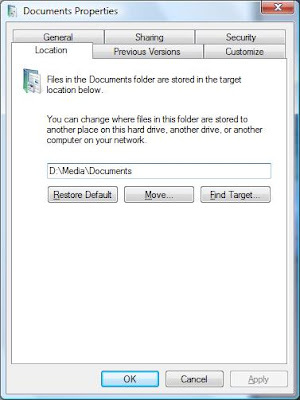 Click Read more to see how to change the location of these folders to anywhere else on your PC. On XP, the only folder linked to from within programs and save dialogues is the My Documents folder, and only that folders location can be changed. My Pictures, My Music, etc will remain within My Documents. On Vista, you can change the location of any folder inside of your user folder. First, right click the folder whose location you wish to change and select Properties. On XP, click the Move button and select a new location for My Documents. On Vista, select the Location tab at the top of the window and then click the Move button to select a new location for the folder. Once you select the new location, click OK to confirm the change. You will be asked if you wish to move your files to the new location. Once that is done, the folder has now been changed and Windows will know where the folder is located.